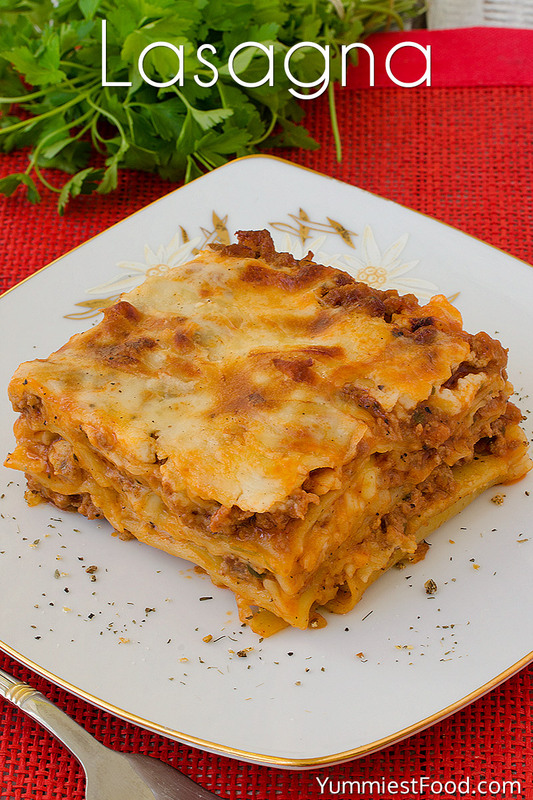 Lasagna – Italian specialty with so delicious and soft pasta with meat, cheese and white sauce! 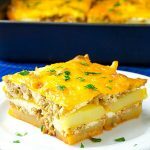 Perfectly delicious Lasagna, so easy to make! 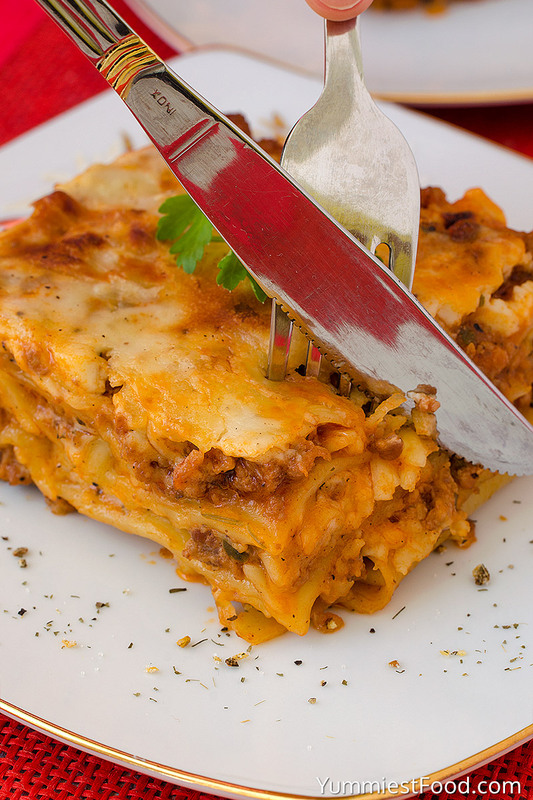 Lasagna is traditional Italian specialty, with a lot of cheese. 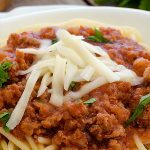 Lovers of this type of food know what to prepare for lunch, and it hardly can be something better than Lasagna. 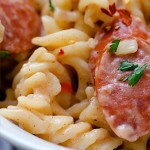 So soft and delicious pasta with minced meat, white sauce, and lot of cheese. I like it very much. There are some recipes which you must know to make and Lasagna is one of that. This combination of cheese, meat and sauce is perfect. Lasagna, dish for which you do not need any kitchen skills, but you need a mood, little knowledge and lot of love to make this Italian specialty. You won’t make mistake if you decide to prepare Lasagna for lunch when friends come over. They will be surprised by taste. There are many different Lasagna combinations. My family likes this combination with meat, but also we like Lasagna with spinach and zucchini. I can’t resist when I remove Lasagna from the oven, so I eat it when it is hot, but when it cool, you can cut Lasagna more easily. 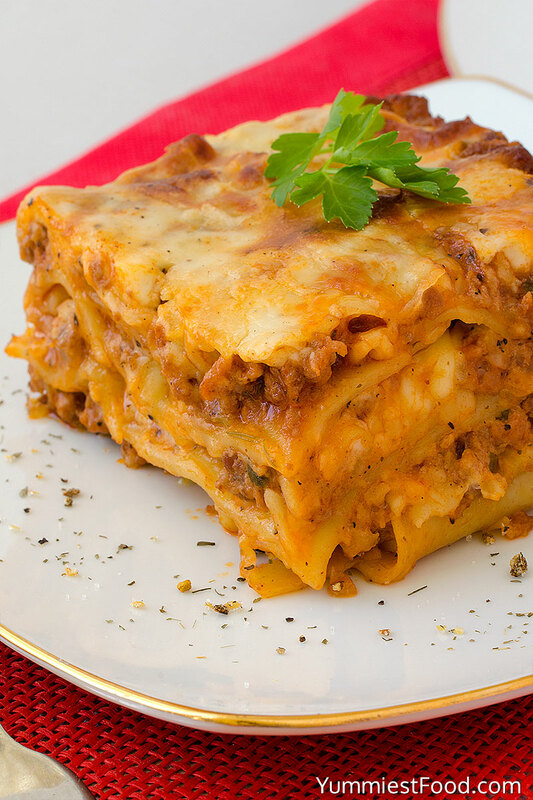 I prepare Lasagna so many times, but I like this recipe the most. You can make it very easy, and you will feel like real chef when Lasagna smell fills your kitchen. These rich layers look so complicated, but it is very easy to make and that is the Lasagna point! 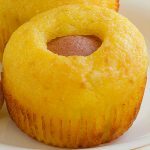 I know that Lasagna isn’t something new, but I only want to share with you recipes from my kitchen! 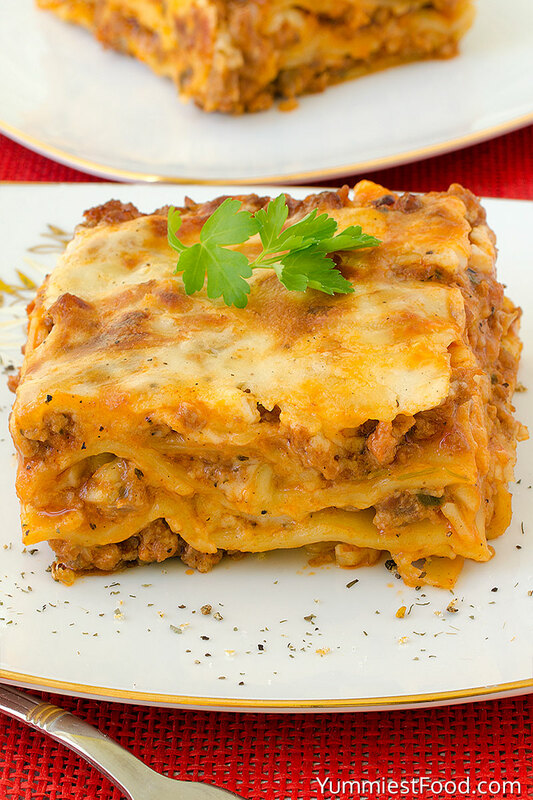 Lasagna - Italian specialty with so delicious and soft pasta with meat, cheese and white sauce! Perfectly delicious Lasagna, so easy to make! Add onions and garlic in the pan and cook 5 minutes until golden brown on medium heat. Add tomato puree and tomato sauce, cover the pan and let to cook for 25 minutes until sauce become thick, stirring occasionally. Cook Lasagna pasta as instructed by the manufacturer. Prepared sauce and Lasagna pasta line up a row Lasagna pasta, red sauce, ricotta cheese, mozzarella. Repeat the layers and the last layer finish with parmesan. Put aluminum foil over glass dish and cook Lasagna in the oven for 15 minutes. After 15 minutes remove aluminum foil and cook for 10 minutes more.